Many homeowners assume that they only need new roofing in Tinley Park, IL after their ceiling springs a leak. But the truth is, leaks are an indicator of roofing damage that is already underway and is likely past its prime. Knowing what the real indicators are could help you get a timely replacement for your roof, and avoid having to deal with leaks during inconvenient times – during winter, for example. Here are signs indicating a roof that needs replacement. Old roofing – Your roof’s age should be the first indicator. Traditional three-tab asphalt shingles are expected to have a 30-year service life, or longer for premium shingles. Missing, cracked, or cupped shingles – A few individual, out-of-shape shingles can be easily repaired. 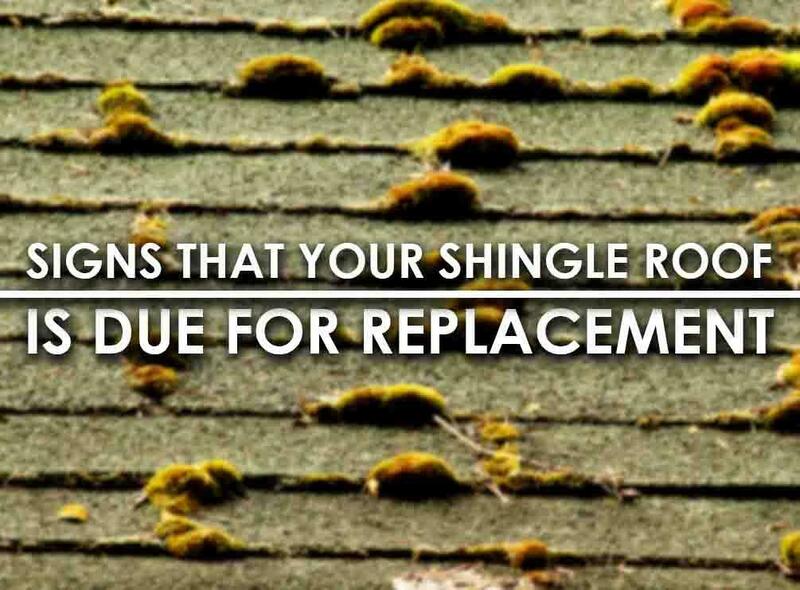 However, if most of your roof is in the same condition, it means your shingles are old and the roof needs a replacement. Granules in the gutters – A few loose granules shouldn’t be a cause for alarm, but if a lot of granules are collecting in the gutters or are being washed away in the rainwater runoff, it means the shingles are worn down and will need replacement. Today’s shingles are designed to have maximum asphalt adhesion, and takes wear and tear better than older shingles. Damaged flashing – Flashing are protective material installed over penetrations such as chimneys and skylights, and on areas such as roof valleys. Rainwater tends to collect in these areas, which is why flashing is required to prevent rainwater from getting into the roof deck. If your flashing is starting to come apart, chances are your Munster roofing is more or less in the same condition, and therefore may require a full replacement. Shingle Roof – If enough sunlight can stream into your attic through holes in the roof, then rainwater can as well. The sooner you get those holes addressed, the less leaks you’ll have to deal with when it rains. We recommend that you get your roof inspected by a professional roofer for a thorough assessment of your roof’s condition. If this is the first time your roof is up for replacement, it’s possible to have it replaced without removing the roof deck. Also, instead of a straight replacement, consider upgrading your shingles: if you’ve only ever had traditional three-tab shingles, you may want to consider architectural shingles for a more textured look and better performance. If you need a reliable contractor to replace your Dyer roofing, call Rogers Roofing today at (773) 492-2270 or fill out our contact form for a free, no-obligation estimate.